Buyers are motivated and better offers will result. comparison and will usually make an offer on a fairly priced property before making a low offer on an overpriced property. Your property will sell faster and at a higher price. Fewer Buyers will tour your property. 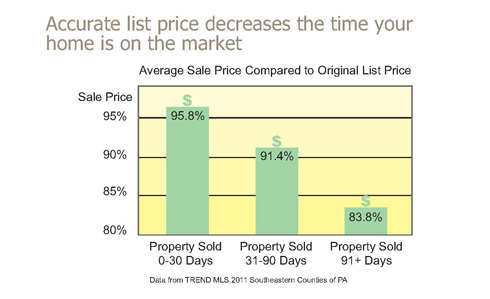 Your property stays on the market longer with less activity. 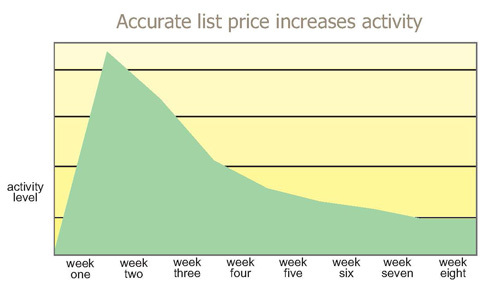 The price will need to be reduced repeatedly, causing the property to appear stagnant. What determines accurate market value? Recent property sales in your area. The condition of your property. Current inventory on the market. The strong selling points of your property. Predicted trends of the real estate market. What does not effect accurate market value? What you paid for your property. The gross amount spent on home improvements and maintenance. The amount of money you need to purchase another property. The amount of your total debt.